Progressive analysis of events from the United States and the world by Bill Humphrey, co-hosts, and guests. Politics, news, and history explained. Recorded in Newton MA and distributed by WVUD in Newark DE. 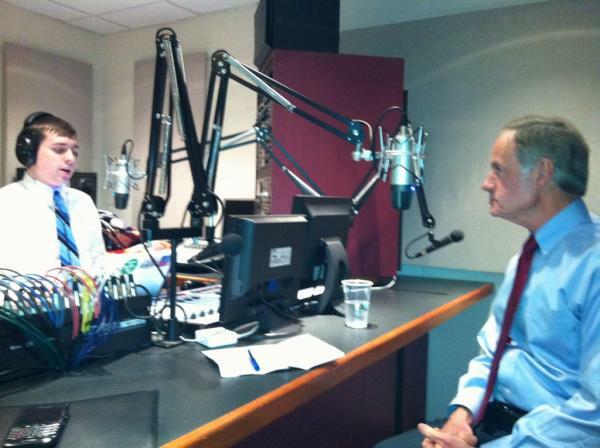 Pictured: Bill interviewing U.S. Sen. Tom Carper of Delaware in the WVUD studios in early 2012.